Looking for church Easter speech? free speech that can inspire you to write one. As you going to learn from this page our work is to produce quality churches speeches for you. whichever occasion you have in church we have a speech for it. I know you are asking yourself where is the church Easter speech that I'm looking for? Since you don't have time to keep on learning. You can click on this welcome to church page and download modifiable church Easter speech from it. It is a PDF file and you only right click and save it or print it to read in church or just get an idea and have your own words in place. One reason we have confident on our work is because this is what we do daily. We have mastered the art and you can imagine the outcome. If you have time and have followed me up to this stage then let us keep moving. Below here are samples of speeches that you can have a look at and get inspired. Our aim is to save you that precious time you need so that you can concentrate on things that you love in life. We bring to you total happiness that you cannot find anywhere else. Have a look at samples we have given you below here. I welcome you all to our child and may the blessings of the Lord be upon you all. Happy Easter brethren in Christ! What a joy to stand before you and do a welcome, it is a great and precious moment for me a sinner who has been accepted by the blood of Jesus before the eyes of the Lord. Let me first thank our heavenly Father for this provision and for allowing us to be here today. Let me also welcome each and every one of us to this great event in the church calendar that reminds us what Jesus did on the cross. Today is Easter and it is very significant to our Christian life, it means that through the death and resurrection of Jesus, God has made peace between us and Him. What a revolutionary way we approach this day because to those who believe like you and me, these things are real. As we celebrate today, let us all remind us other if we have accepted Jesus to be our personal savior. It is a great honor and privilege to stand before you through the mercies of our Lord Jesus whom we are celebrating his event today. The event today has always been celebrated and each time we celebrate it it looks new to me, I don't know what about you? Today is Easter Sunday and as we read in the scripture we learn that Jesus resurrected today after being in the tomb for three days, our salvation is pegged on his resurrection without the Easter Sunday then our believing will be in vain. 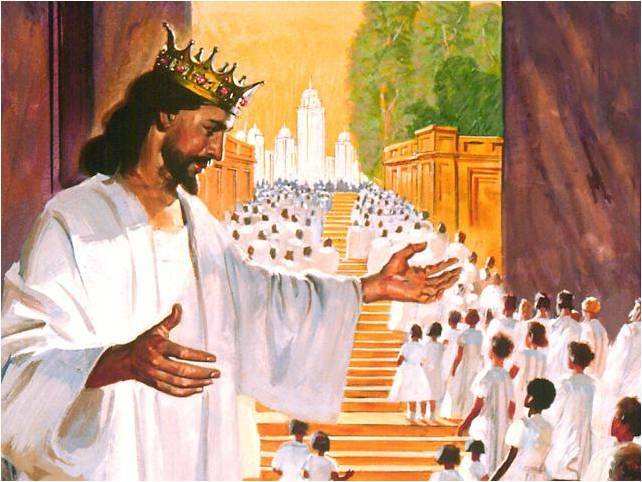 I once again welcome each and every one of you as we learn from him and die into our sins so that the Lord Jesus will resurrect in our lives, so that the lives we shall live shall not be ours but Christ lived through us. I want to welcome young and old and every one of us to experience the love of God through the death and resurrection of Jesus. Here is the youth Easter speech sample to help you. I feel humbled to stand before you on behalf of the youths in the church, let me firs thank the Lord for according me this chance to speak to you and also thank every one of you for coming to celebrate with us during this Easter holidays, an event that is very important in the church calender. when I was asked to come and speak, my mind went back and started thinking , how is this event important to a youth in church. The Holy spirit spoke to me and told that the death and resurrection of Jesus is very important to us as youths because it is through his death that we find meaning to our lives and on how we can walk as a youth. Therefore let no man despise our youth-hood but let us know how to walk according to the word so that we can redeem the time that our God has given us. Thank you for listening to me and God bless you. How do we meet life and death, it is when we remember what Jesus did on the cross that changed the human history forever and anyone who accept the ransom is saved. This is a gift to all of us and we are happy to be part of this life changing event that we are celebrating today. We want to thank our loving God for enabling us to be here and witness it. Easter time is not only a time we recall the death and resurrection of Jesus but also when we look at the significant of the event to each and every one of us. On behalf of the church let me welcome you all and let us search our hearts and see if we have accepted Jesus to be the Lord of our lives. Brethren in Christ, I greet you, peace be upon you. It is with great humility that have taken this moment that the Lord has granted to me to welcome you to this year's Easter Sunday as we worship together. I feel honored to see this day that we commemorate the resurrection of our Lord Jesus who is a live and ministering to us from the heavenly courts. Let me first,thank the Lord for enabling us to congregate here as a church and also thank you for finding time to come here so that we come remember the resurrection of the Lord Jesus together. It is a wonderful day and we have many activities that we have lined up during this day as we share together this love that the Lord has granted to us. Feel welcome and be at Jesus feet as we learn of him. Let the Holy Spirit teach and remind us what the Lord Jesus said. After today,we shall have renewed our relationship with the Lord and start a new as we look forward to that glorious day when the Lord shall appear in full splendor and every eye shall see him. That you can share with other fellow Christian in your church as you share with each in remembrance to the death and resurrection of Christ who is our savior. This Easter season is very important in the church calender because it reminds us what Christ did and the purpose that He came to fulfill on earth as a human being. I'm sure in your church you are well to celebrate this season of Easter with great love that Christ left us to fulfill.